Introducing Everest Base Camp Yoga Trek 2018 October group. Before listing the group details we like to share some words from our previous member. Marie shared her experience about Everest Base Camp Yoga trek, and this article is going to published by Image Nepal travel magazine in the French language. Please scroll down to see the 2018 October Everest Base Camp yoga trek group members. A Yoga Trek to Everest Base Camp through the Gokyo Lakes. Everything is in the title, but what is it really about? When we talk to you about Nepal, what do you imagine? The country of the roof of the world to a country of snowy mountains, perfect for the seasoned hikers and mountaineers of high level? A spiritual land between Hinduism and Buddhism, ideal to walk in the footsteps of Alexendra David-Neel or to do a spiritual yoga retreat? The paradise of the 68's for ... other reasons! Or you do not know where this country is? Well yes, Nepal is all that but not that and we propose today to discover or rediscover this beautiful country by combining many of these facts. Tourism in Nepal is very marked by trekking, offered by the mountain ranges that border the country, Annapurna's, Himalayas ... But contrary to popular belief this is not only for experienced hikers. Indeed, there are circuits of hikes accessible to all, of variable durations, with more or less difficulties and rise in altitude. And to complete your experience, what's better than practicing yoga during your trek? There too without the need to be a confirmed yogi. Interested? To convince yourself, let us guide you to one of the most beautiful combinations of yoga and hiking offered by Rugged Trails Nepal, to Everest via Gokyo and its lakes. We had asked a few questions about them and about Nepal, here we go what they say! I’ve been in Nepal tree times. Twice for a project for education in Chimding, the Kumbhu area, did a part of the Anapurna trek and visited Pokhara and Bandipur. The last time I came to Nepal was to hike Everest Base Camp and visited Pokhara & Chitwan National Park. Just fell in love with Nepal. It feels like my second home. Nepal is my favorite country in the world. I really want to go Gyoko lake. When I talked to my friend Nirajan who I met 6 years ago, he told me to join his trip because the whole combination with Yoga and the trail is going to be amazing. I’ve been practicing Yoga for a while now so excited to bring two of the most relaxing things (Yoga and the mountains) together. I know the hike is going to be amazing. With beautiful views. It’s not going to be easy but worth it!I’m just going to enjoy the ride. It will be the first time I’m going to join a group in Nepal. I’m excited to meet new people en share the experience. I’ve been practicing Yoga for about two years. Most of the time I practice Ashtanga yoga, Vinyasa yoga, and Iyengar yoga. It helps me relax and stay more in balance. It’s nice to make time just for yourself. Julie Farese- I am reading about Nepal, learning of the geography. It looks lush and greener than the mountains in Colorado. I have lived in New Jersey raised my 3 kids 35,33, and 28 in Nj. I am and was a competitive triathlete and still train daily. Not hours on end, I balance the sport with proper attention. I am a Pilates certified instructor, have trained several people and have a good reputation. However, I do Yoga and not just Pilates. I started Bikram in 2001 in NJ and loved it. This was during my great running days, and after 9/11, so I really have fond memories of my beginnings of Yoga. Since I am such an athlete, my meditation involves movement, such as trail hiking in the USA and a lot of swimming with practice to stay with the breath. I want to experience truly great trail hiking with the best leaders in the world, I do want to see another side of life and culture, and see the beauty and the mindset behind the lack of perfect life, excluding money, convivence, and luxuries. Yoga for me is the Release of Tension, in the fact that it works pretty well. Of course, I can’t practice it every day but when it is near me I do it well and find no problem. My swims are quite intense and serve me quite well for Breath, as Yoga does too. I have been dreaming about the mountains, Nord of India, Nepal, Tibet, and the Himalayas since I was a child because I read some book in relation with. Finally, now with 33 years is my moment to go, Is the first time I will go there so. I have seen some documentary and asked some friends who went to Nepal, all the persons told me the same thing: is a wonderful country first because of the people and second for the mountains and beautiful. The difference with this trip is the yoga practice and the organic and vegetarian food. Both are very important for me. And of course, all the trek because is also and small group. I have been already in a group only during a trekking trip in South America. I use to travel alone or with friends but we managed everything. But I know very well the group because I’m an official guide in France, and I use to work with groups or even to travel around the country with them. I started to do yoga when I was 18 years old because I have big scoliosis and the yoga was very good for me. I used to take different lessons, but for some years I practice by myself, even if sometimes is good to share the practice and have a teacher. Yoga for me is one of my favorite moments during the day, is a peaceful moment with myself. my mind and my body, even if sometimes I’m forgetting how amazing is the practice and I don't do yoga for a while. My name is Milind, I'm 37 years old Indian born British national. I am a Senior Manager working at worlds largest shipping company. I currently live just outside of London. I am a photographer by hobby. Some of my work could be seen on my facebook page Milind Patel Photography. I like shooting wildlife and landscapes. I will be visiting Nepal for the very first time. I have little knowledge about Nepal. In August 2014 I was diagnosed with herniated discs L4/L5 and I was in constant agony and pain 24X7. It is an awful feeling to be in pain all the time. I was always irritated because of the pain and not just me but my family suffered my illness too. There were days that I couldn't even get up from the bed. Continuous pain shattered my physical and mental ability to do simple routine activities. I was losing out on every aspect of life. I have closely experienced the life of a disable person. I consulted the Spine Specialist doctor and they said the key to get back the normal life is getting 'Back in Action'. I took help of steroid injections to alleviate the pain but dedicated myself to get my normal life back. With this trek, I am raising money for a Charity (Aspire.org.uk) which supports all those people who suffer from the Spinal injury. I have experience in traveling with the group before in backpacking trips to Norway and Scotland. I enjoy knowing different people around the world. Yoga has played a very integral part of my recovery process. I have been practicing yoga for past 2.5 years. I enjoy practicing different forms of Yoga (Hatha, Vinyasa, Asthangana, Bikram and Yin Yoga). I have plans to become a Yoga tutor when I retire. I am joining this trip because it is helping me to get one step closer to my goals along with practicing yoga and photography. 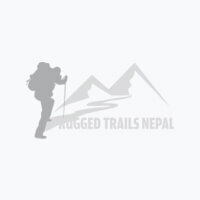 We didn't receive other 4 people details but here is a short video who were Everest Yoga Trek participants for 2018 - October. Everest Yoga Trek Participatns practicing Yoga at Namche view point.